CONTACT IMPROVISATION, weighted warm-up, energetic dancing, physicality, technique, free flow, politics of contact improvisation. IDEOKINETIC BODYWORK, anatomical imagery into hands-on bodywork, into movement exploration. Maria F. Scaroni did not formally train as a dancer. Moving and performing was at first a process of self-discovery and idiotic play in corners of her house, and later a remote fantasy. She started taking dance classes, focusing on jazz dance, and ended up being picked for television, performing both on national TV and for Berlusconi's private channels. Maria quit for political reasons and spent five years with a local company, training in release-based techniques with Manuela Bondavalli, and earning a Masters degree in Modern Literature and Media at the University of Brescia. Her "euro trash" life begun in 2004 when she met Jess Curtis, with whom she trained, taught and performed, between Berlin and San Francisco until 2011. His company Gravity was dealing with various, very physical body practices, ranging from contact improvisation to acrobatics, via mixed ability contexts and theory. Maria got to know Jess' lineage in San Francisco and understood how, during the '80s and '90, a certain way of thinking around political theater and body politics had emerged. She plugged into this lineage and studied and performed with Sara Shelton Mann, a master, pioneer and visionary, Keith Hennessy - a radical queer activist and charismatic provocateur - and Stephanie Maher, whose active, punk disposition led her to move to Germany and initiate independent spaces and practices, landing in a project, Ponderosa/P.O.R.C.H. where she participates as teacher and collaborating artist. In collaboration with Jess Curtis, Maria co-created The Symmetry Project (2007/2011), a mutable performance/ installation/media project based in a symmetrical and homologous movement practice. Highly affected by both dance and meditation, the SP marked Maria's discovery of duration, exhaustion and play with altered states of presence. By breaking away from strictly theatrical settings, addressing intimacy, sexuality, community and perception she met other artists and practices and in 2010 became part of AADK Berlin, an artistic network initiated by Vania Rovisco, Abraham Hurtado and Jochen Arbeit. 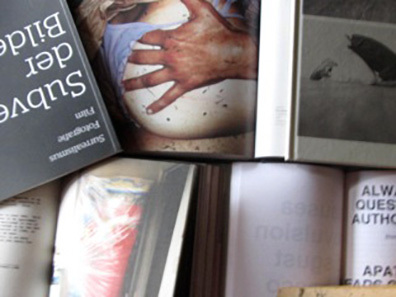 Working with Vania Rovisco Maria developed another long-term project called The State of Things, in which the body and its materiality are the focal point (in this case, particularly the female body and its regimes of representation). 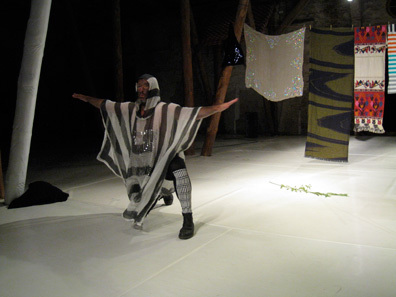 As a performer Maria has been in works by Juli Reinartz, Friederike Plafki, Hanna Hegenscheidt, Wilhelm Groener. 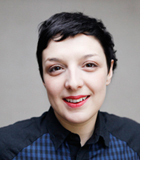 Most recently she has been working with Meg Stuart/ Damaged Goods (the Politics of Ecstasy (2009), Auf den Tisch! (2011), Built To Last (2102), Sketches (2013)), with Jeremy Wade and visual artist Monika Gzysmala and co-created with Frank Willens. She is as well performer in Tino Sehgal's This Variation and Yet Untitled (Documenta13, Biennale di Venezia 2013). Maria has developed a teaching practice of her own, teaching at festivals, dance - and public schools and universities (i.e. HZT Berlin, Poznan, Ponderosa/ P.O.R.C.H.) Besides dancing, Maria almost always had another job. Peter Pleyer studied dance at the “european dance development centre” / Art Academy Arnhem, Nl after some years as actor in German theater. He worked as dancer and choreographic assistant with Yoshiko Chuma, New York and Mark Tompkins, Paris. Since his studies a long time collaborator with Ezster Gal/Budapest: choreography and improvisation (performances at the New York Impro Festival, Paris elebration of 20 years contact improvisation in Holland. Peter choreographed his own dances (a.o. participant at the choreography competition Groningen). In 2000 he moved to Berlin. 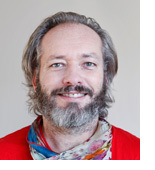 With a big interest in the theoretical studies of dance and dancemaking, he is frequently asked to supervise and coach performance projects in Germany and Sweden, with a focus on new methods in dance training and composition - where improvisation plays an essential role. Here he developed “choreographing books” a lecture/installation, with his view on the development of dance studies in the US and Europe. He helped to create a dance education for contemporary choreography in Berlin and is teaching in different European festivals and dance-educations. 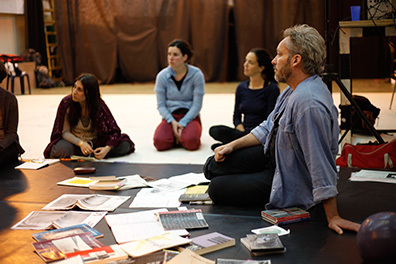 His workshop "history in practice" was taught for the alternative dance academy in Poznan/Poland, at P.O.R.C.H.- Stolzenhagen, at the polish Theatre Institut, Warsaw, the MA for Choregraphy in Arnhem/Nl, in Jerusalem, at Hzt-Berlin and Tanzquartier Wien. For the Hzt-Berlin he also developed the workshop “history of scores since the Judson dance theater”. From 2007 to 2014 Peter has been the artistic director of Tanztage Berlin, an annual festival for young choreography in Berlin. In 2012 and 2013 he was part of the programming-team at Sophiensaele Berlin. His latest workshop “finding your ideosyncratic dancing body” has been taught in Poznan, SMASH–Berlin and the Art Academy Artez in Arnhem, Nl. As a guest performer he is currently working with Keith Hennessy and Antonjia Livingstone.